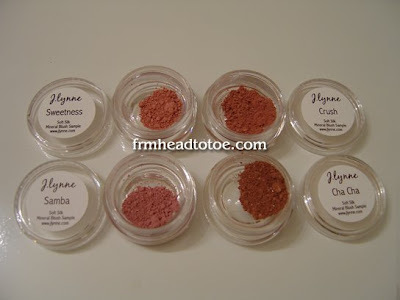 I recently got the opportunity to try out a few makeup products from an awesome mineral makeup company, J. Lynne Cosmetics. The very sweet founder of the company, Jess, has a passion for making cosmetics that are all-natural and eco-friendly. I think that is so awesome! Nothing better than a product making you look and feel beautiful while not irritating your skin or the environment right? I usually only wear mineral foundation since I'm pretty paranoid about breakouts and I have to say that I didn't have a problem with this foundation at all. It was just as good (if not better) than Everyday Minerals and a huge part of that has to do with the tons of shades available and the system used to know what each shade looks like. The website has a grid of shades from cool to warm and porcelain to deep. I ended up receiving shades Light Neutral 2.3, Light Warm 2.4, Medium Neutral 3.3, and Medium Warm 3.4 and I can go Light Warm 2.4 or Medium Neutral 3.3 depending on how I'm feeling that day. It's pretty spot on though! Either shade looks totally natural and I'm floored at how easy it was to find the right color the first time. For reference, I am between MAC NC 25 and 30 and and use Everyday Minerals in a mix of Fairly Light Neutral and Golden Medium. I also use 2 colors because I have summer and winter shades and I mix the color in between. The weight is similar to EDM's intensive foundation, which I like. I don't feel like a shimmer ball with this stuff but it is still very natural. Here are the blushes. I absolutely love these colors! I don't even know if I can choose a favorite. These photos came out a little darker than in real life. Sweetness kinda reminds me of EDM Apple blush and Crush is a gorgeous warm pink with a slight shimmer. 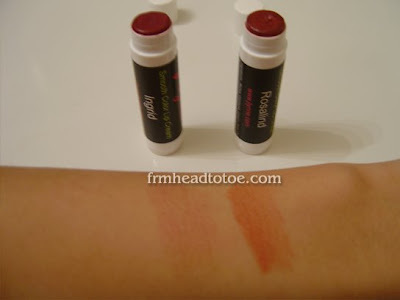 The Smooth Color Lip Creams are super hydrating and feel just like lip balm. It gives a stained lip look as opposed to lipsticks, so it is nice for those "my lips but better" days. Rosalind's "cranberry rose" color may be a bit warm for me, but I love Ingrid for days when I just want my lips to feel great and be a bit pinker. Ingrid - ripe, lush raspberry pink color. your lips but sweeter. Rosalind - lush cranberry rose. gives your lips a "just bitten" look. 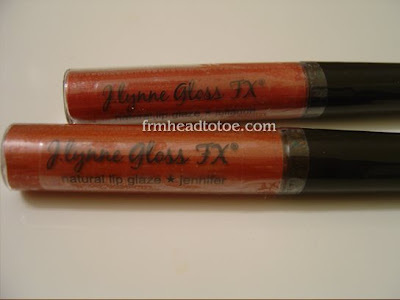 I think the lip glazes are where J. Lynne Cosmetics really shines. As soon as you put it on, your lips feel very soft and moisturized. The color is sheer but pigmented. 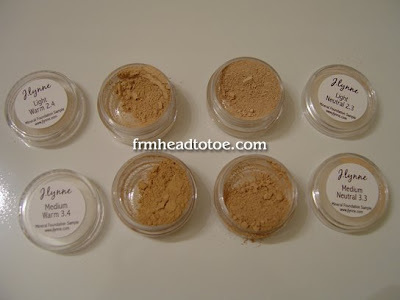 They may look a little intimidatingly dark in the container but it is very, very natural and wearable. It's definitely one that I'll be keeping in my purse to take with me a lot. 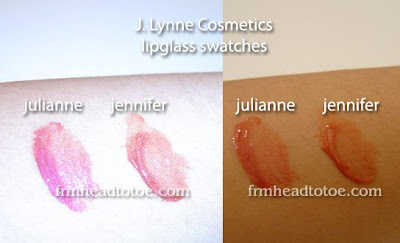 Julianne - sweet guava-pink with rose and plum undertones. Jennifer - a ripe, juicy shade of warm pink with bronze undertones. Sorry this is the same poster as before. Is Everyday Minerals in the same range of quality as Bare Minerals? Hi, Could you do a tutorial for falsies &/or the curls you had for your Christmas do? Sorry for all the requests. It's just your work is so beautiful.! yea, i hope u post more i love love love your posts, they're very helpfull!